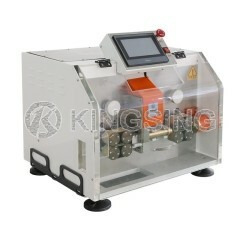 KS-W115 is designed to meet the needs of thick/large/big wires and cables’ cutting and stripping. 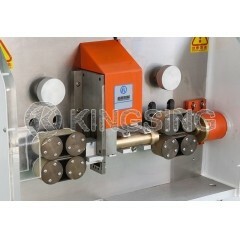 It covers a very broad processing range, it is able to cut and strip from 10 to 30Sqmm (Max. 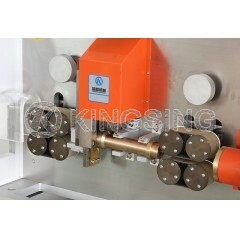 cable/wire OD can reach 30mm) multi core flexible cable/wire. 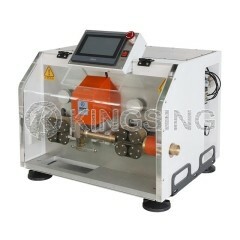 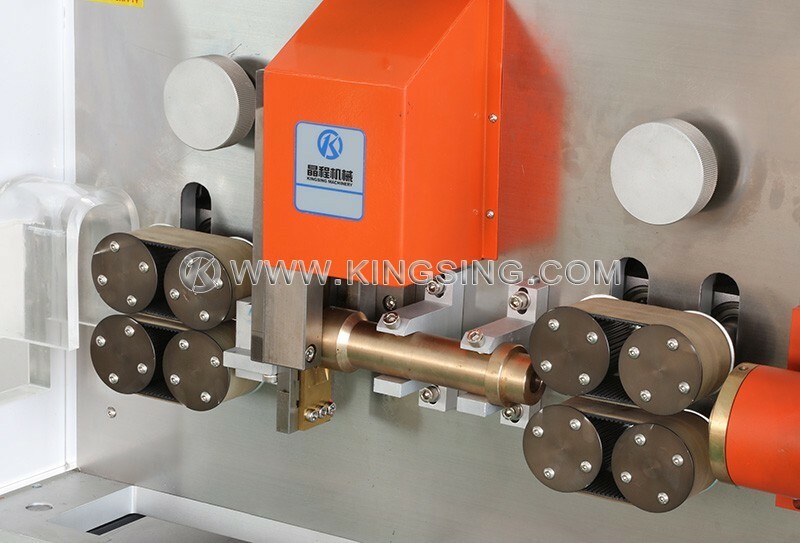 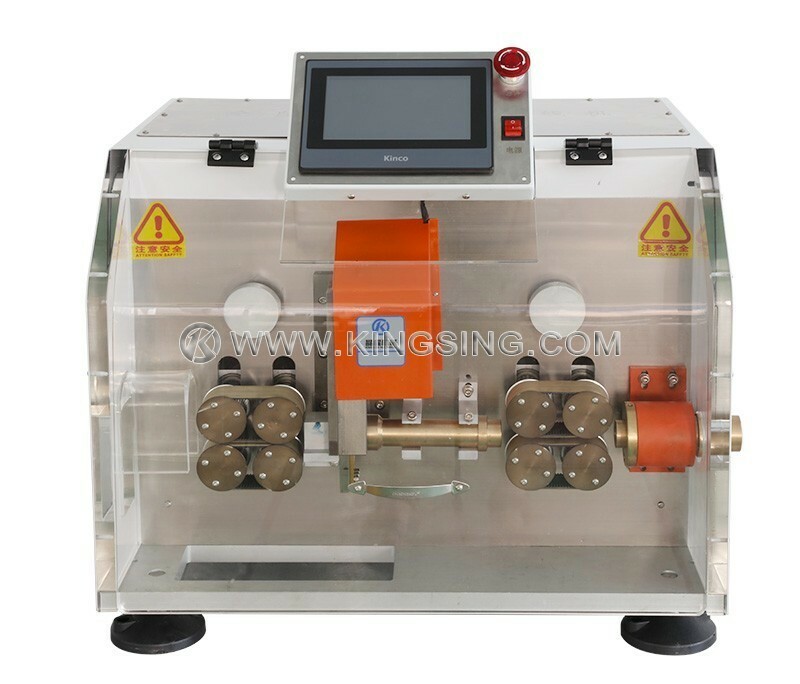 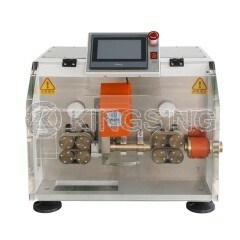 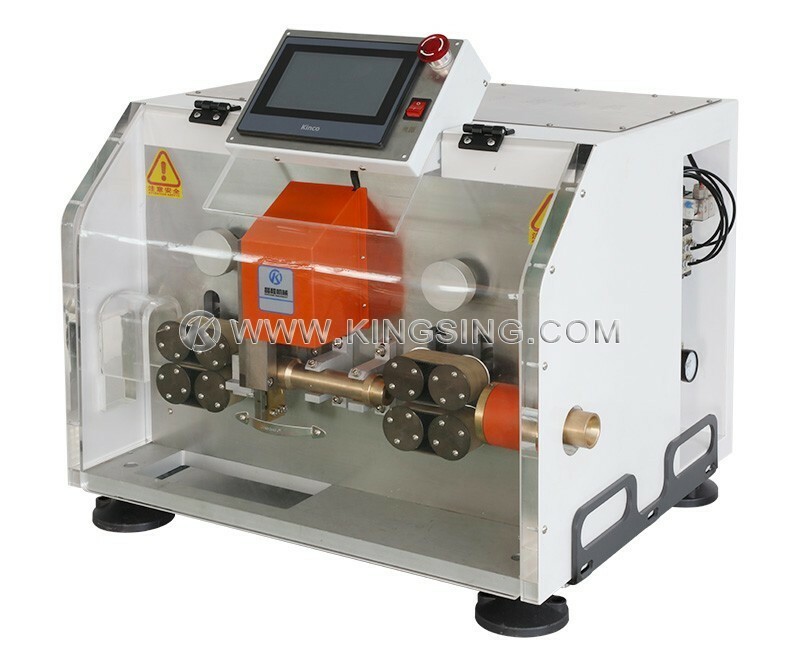 Through adjusting pulse value, the machine can reach extremely high precision cutting effect. 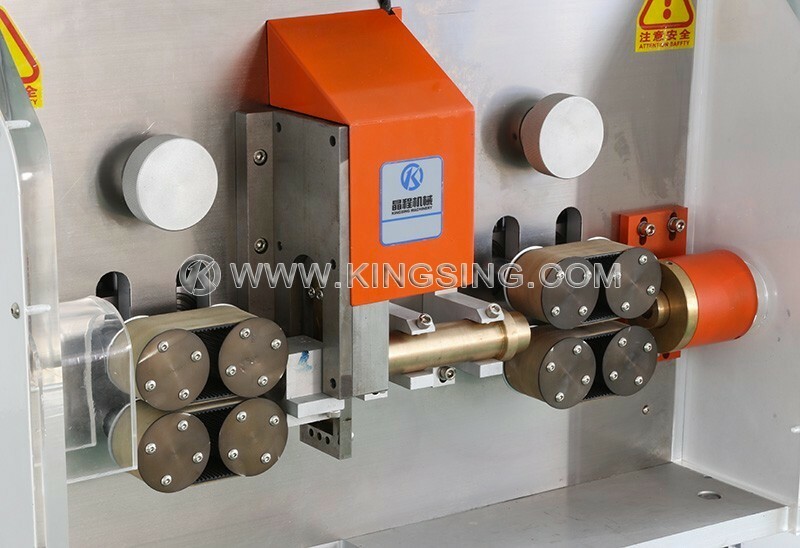 This machine is driven by 8 extra strong wheels, 4 sets of powerful driving shaft and it adopted the newest type of drive motors to ensure working strength as well as a very stable stripping and cutting performance. 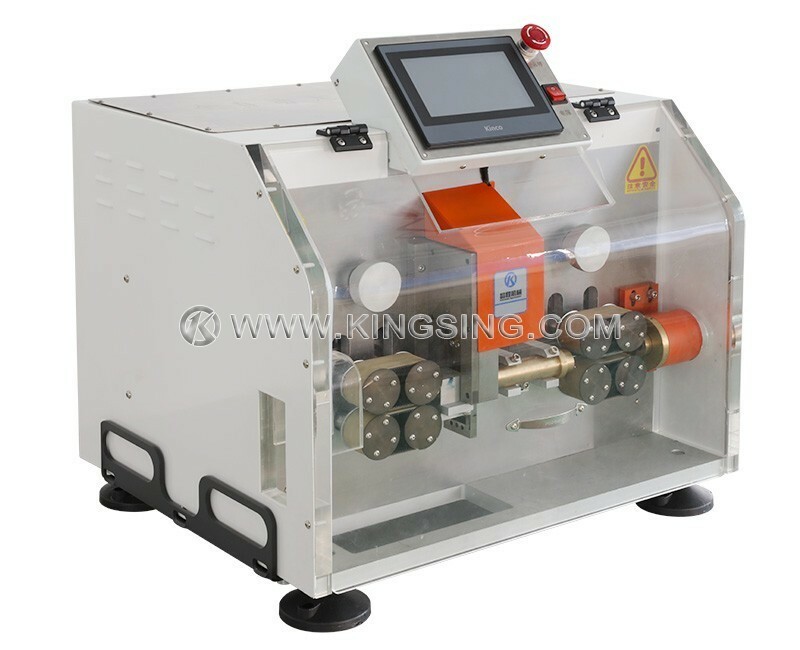 KS-W115 has released the traditional manual wire harness processing by fully automation, saved large amounts of labor and money costs for its users.